Refreshing is one word to describe this young radiant artist. From San Diego, California, Naisu brings us a SoundCloud filled with gems your ears will undoubtedly enjoy. Some of his outstanding remixes shine bright with originality like his remix of Mura Masa's "Love For That" and Sam Gellaitry's "Waiting so Long." With tracks like "Promise," an earthy trap based song to "Time Away" featuring Dane Amar & Tydpool, a fresh hip-hop track; Naisu is slowly establishing his own unique style of electronic music. His dreamy Japanese inspired HajimariEP and collaboration EP with Madnap, titled DIVE, show the diversity Naisu's music can offer. Being a member of the Paper Crane Collective, I had the wonderful opportunity to ask Naisu about the inspiration behind his captivating music! Hope you enjoy! Also, make sure to catch Naisu preforming a special B2B set with Madnap August 3rd at Los Globos! With the Paper Crane LA show only one week away, the PC founder, Madnap, transformed a Kayne West classic into a future pop like remix. 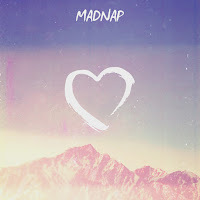 Hosting uplifting synths and beats, Madnap's signature style is found profusely in his energetic remix of "Heartless," making his version dance-able and melodious.  Displayed into a new SoundCloud profile, "madnap remixes," we are more than ready to see what he experiments with next! Asking a few key questions, Madnap told us all about his inspiration and action behind his new Kanye remix! Enjoy! Below you can take a listen and share Madnap's remix of "Heartless" and get a free download here! 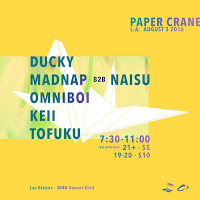 Also, you can catch Madnap at Paper Crane's LA show on Wednesday, August 3rd! RSVP HERE! What gravitated you into choosing to remix Kanye West's "Heartless"? On August 3rd, Paper Crane will be hosting their first LA show and it's something you will not want to miss! Having a killer lineup, Paper Crane is throwing a one of a kind event located at the Los Globos venue on Sunset Blvd. Being one of our all time favorite collectives, we are honored to announce that Melting of Age will be covering the entire event, making sure we capture it all for you! Be sure to RSVP and check out all the info for the event below. We hope to see you there! Terrell Davis is one of the rare artists that can wow anybody's eye. From East Orange, New Jersey, Davis is creating art that bends the mind and pushes boundaries. His work has been recognized by some of the most prestigious magazines and blogs to date. 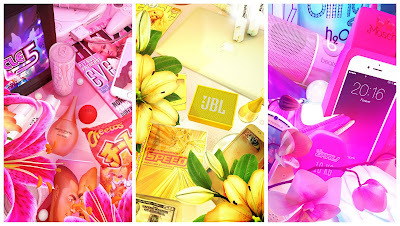 From impeccable graphic design to notable branding, Terrell incorporates vibrant neon colors along with tasteful tribute to the 90s era in each of his pieces. It's loud yet soft, blunt yet mysterious. Each object and brand he uses is not out of random instinct but from choice and reason. He tells a scenario or story in the work he produces. It's only a matter of time until he becomes an iconic figure within the art industry. Below, I had the pleasure of asking Terrell a few prime questions in regards to his work and inspiration. Enjoy! The new k?d remix of "Elevated" is a track that will emotionally break you apart. K?d was able to take the R&B based track by RKCB and put a whole new spin on it by injecting a rush of energy and spirit through its musical veins. 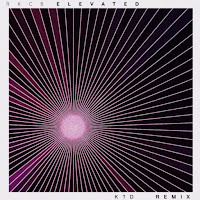 Having spacey and echoed tones, k?d's version of "Elevated" is loaded with brilliant bass that is able to highlight the soulful vocals of RKCB. This mysterious producer is always delivering some of the best music to ever occupy the SoundCloud space. His rendition of "Elevated" will leave you speechless and longing for more preciously ludicrous productions. Below you can share and take a listen to k?d's remix of "Elevated"! Also, available for download here. "NO MONEY"Written by: AREN The new collab remix of “No Money,” produced by Warpstr and hikeii, is a HIT! 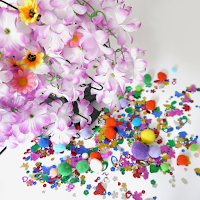 The track is a jersey club remix of Galantis's "No Money". 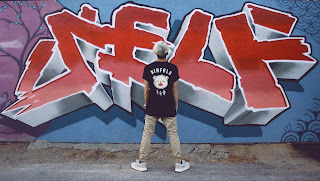 The artist Warpstr was once featured on Melting of Age and is now again, but this time with the talented artist hikeii! Both artists offer a wide variety of amazing music. It's really great seeing hikeii being based in LA and Warpstr in DC; both being able to work so well with each other to create such an amazing mix! This dynamic remix will make you feel lively with the fast pace beats and the crazy samples they used. It is definitely a song that will make any place go wild! If you have not encountered uth fruit's music yet, you are completely missing out on incredible creations. With his new remix of SG Lewis's "Yours," featuring vocals by Raye, uth fruit encompasses his own style into the smooth vulnerable sounding track. He made his version of "Yours" simple yet brilliant. Creating a more upbeat and mystified tone, uth fruit distorts the song's vocals and adds future classic elements elaborating the track more from its original note. This is a great tune to listen to whilst your morning arises and you want to start your day on a positive vibe. 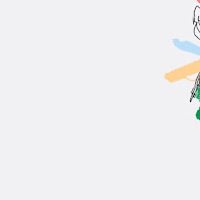 Below you can share and take a listen to uth fruit's remix of "Yours." Metsä always delivers music that shows his perspective on songs he adores, especially when it comes to remixing. With the original track of "Your Fire" by Zoë Wick and Warholla having soft and soothing melodies and vocals, metsä brought the track to an upbeat and bright level of existence, giving the track a bit more life and ambiance. In his remix of "Your Fire," metsä subtly skims Wick's vocals over the track as electronic instrumentals take the lead. Incorporating light twinkles of sound and strong synthesized beats and claps, the remix as a whole is a beautiful listen. 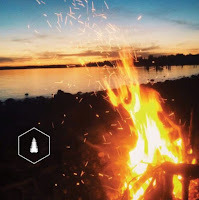 Below you can share and take a listen to metsä's remix of "Your Fire"! Saturday, July 2nd, was a day we will never forget. 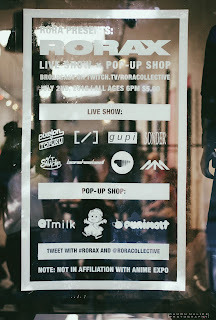 Filled with joy and ambition, Rora Collective produced an event unlike, to be honest, any other. With RorAX being our first official event coverage, we did not know what to expect, all we knew was that we had to capture every moment of it. And that's what we did. The energy and ambiance of RorAX was consumed with positivity and the will to make sure everyone had one hell of a time. Located in downtown Los Angeles, the venue was a hole in the wall pop up spot on the cross streets of Olive and 11th street. Being Rora's first show, this prime location was a good choice. From the pop up art shop to the DJ sets, there was always something and someone for you to experience and interact with. With art provided by QT Milk, punimelt, and Goblin Trash Can, merchandise sold effectively throughout the night, intriguing people to buy unique pieces that you couldn't get anywhere else. U_U, aka Strider-Kun, is a new sentiment project that will surprise you. Think of your traditional “emo” music brought to a whole different level. With lyrics and electronic instrumentals of self-expression and honesty, U_U uses his own vocals in his tracks like "separate rooms" and "beg you to stay." He even features his other moniker, Strider-Kun, in one of the EP's tracks titled, "miss you," an upbeat characterized collaboration. Withpromise me it's gonna be okaybeing U_U's debut EP, we can already get a sense of the music he will be offering to his audience! Not only is his EP in digital format but he also made his creation into a tangible aesthetically pleasing cassette tape, making U_U's EP physically special as well. Below I had the chance to ask Strider-Kun about his new project U_U and the new EP, promise me it's gonna be okay.Enjoy!